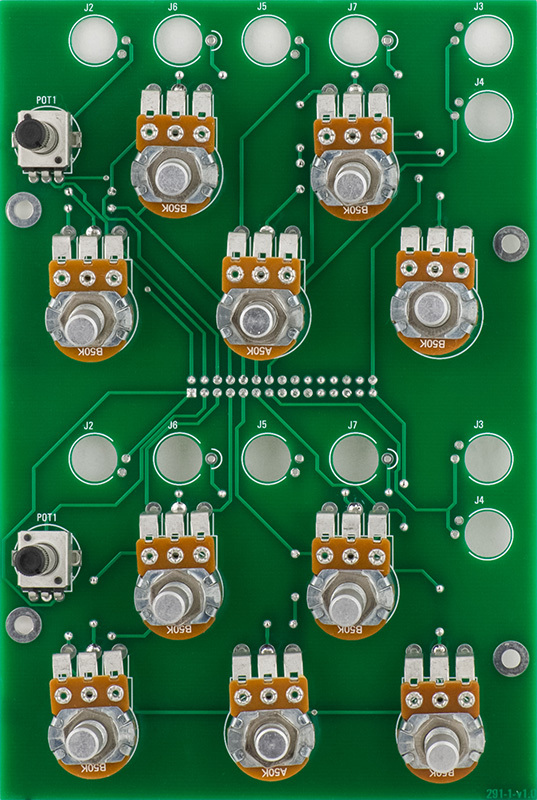 I built a Buchla 291 Voltage Controlled Filter module for someone else. They sent me a complete kit of parts and I assembled and tested the module. Many of the components are sourced through Mouser but specialized parts, panel, and knobs have specific sourcing and I do not know the details. 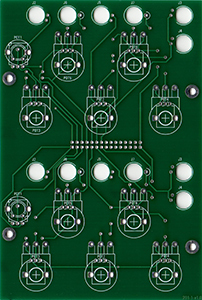 I made reference designators from the PCB images. The components cover the silk screen legends once populated which makes it hard to debug if anything is wrong. 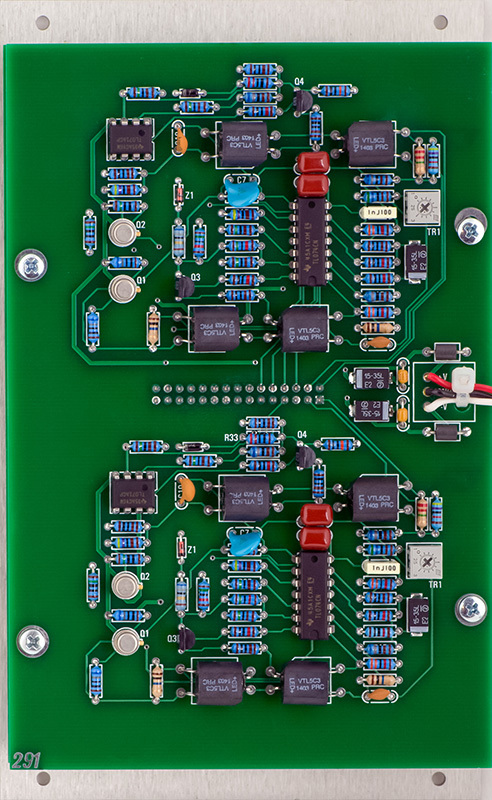 This is a fairly simple module and quick to build. 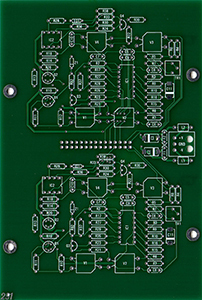 The BOM is a bit confusing as there are two duplicate sections on each PCB and it is easy to order the wrong quantity of parts. PCB1 has all of the front panel controls. The potentiometers in this photo only have one pin soldered to align with the front panel for final soldering. 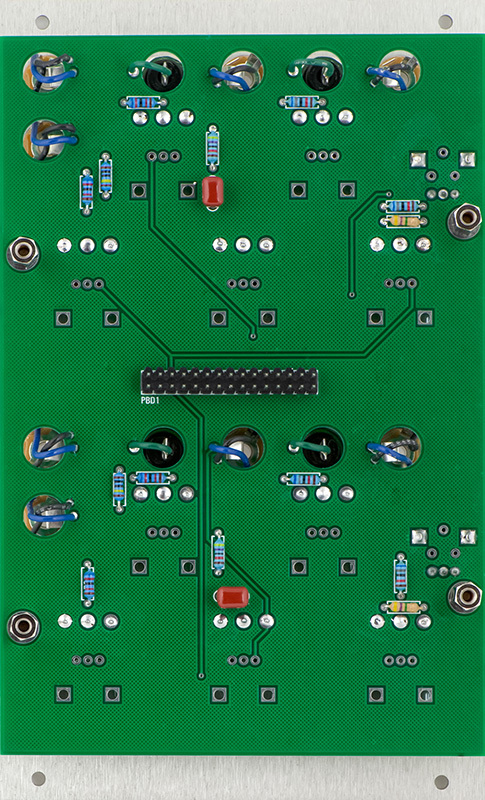 PCB1 also has a small number of discrete components. 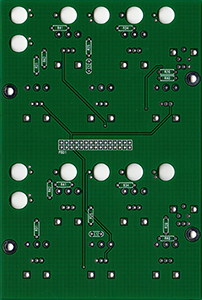 PCB2 is relatively simply and only requires +/-15V. To top right mounting hole doesn't quite line up and had to be filed lower. 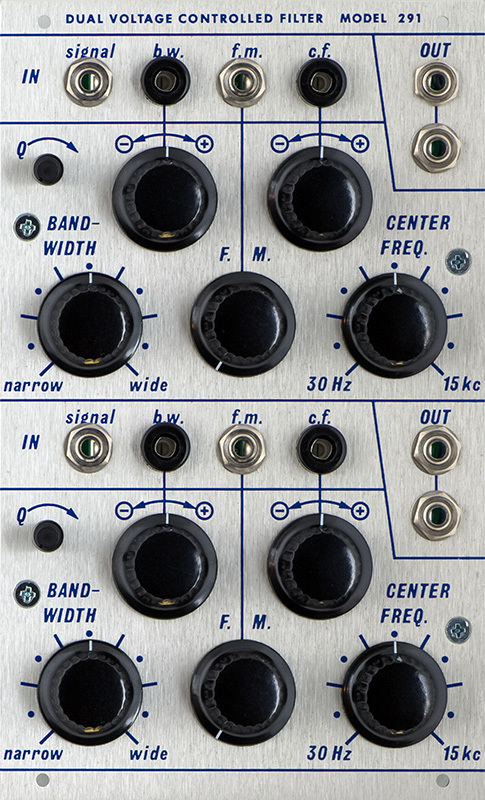 This is a dual bandpass filter with variable width, center frequency, and Q. This scope image shows a swept sine wave from 100 Hz to 13 KHz. The bandpass filter is set to narrow and centered. This filter is quite hot. 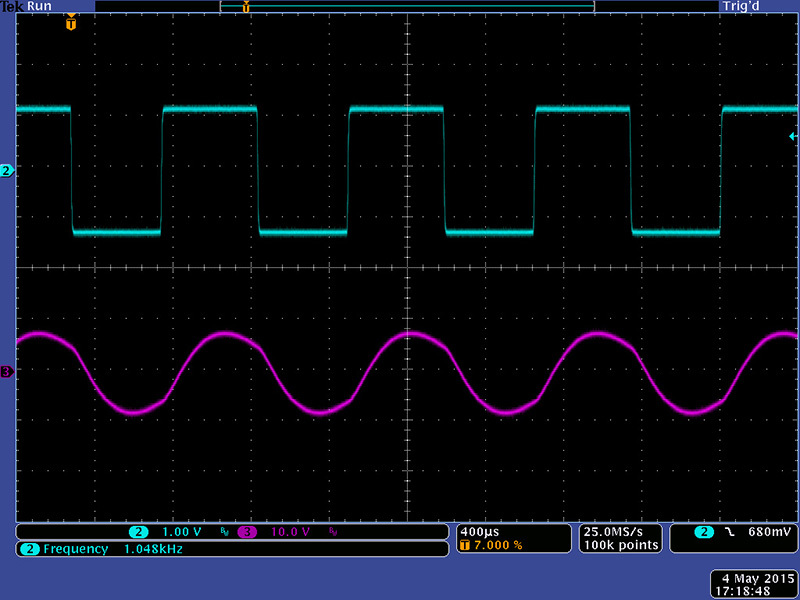 Note that the input level is about 3V pk-pk and the filter output is over 20V pk-pk. This image shows the bandwidth set to wide. This is a square wave filtered at the center frequency. It shows a nice sine wave fundamental. 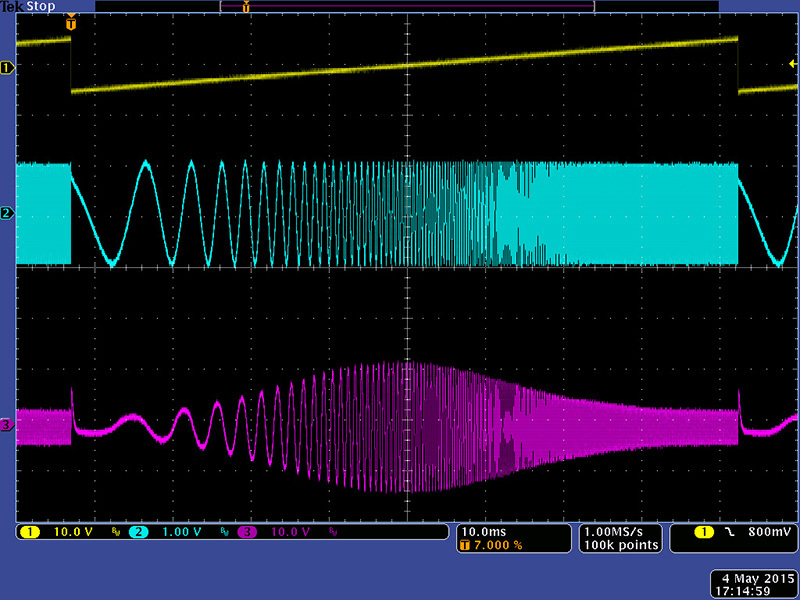 Adjusting the bandwidth and center frequency controls can morph the output with some nice timbres. Adjusting the Q can further morph the output. I've adjusted the input level down more to eliminate clipping..